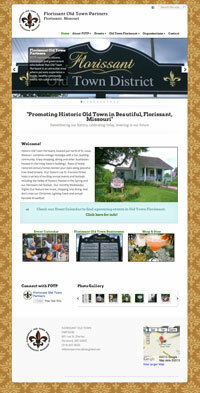 Florissant Old Town Partners is an organization promoting historic old town Florissant, Missouri. This website features a streamlined design, light color scheme, vintage flour de lis background, and searchable business and member listings. The logo is a Blue’s ArtHouse original logo design.